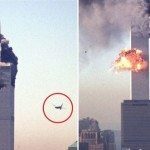 The two planes that hit the World Trade Center were accompanied by two other planes that sought to destroy two major centers in Washington, D.C.
A second and much more deadly terrorist attack than the attack on New York City in 1993 occurred on the World Trade Center (WTC) on September 11, 2001, combined as it was with a simultaneous assault on the Pentagon. It created an altogether new situation for the U.S. government. The 1993 bombing of the WTC, while it was deadly and enormously destructive of American life, was a single event organized by a small group of terrorists who were in the country. The events of September 11 were at a new scale of violence. They were multiple attacks at the heart of the nation’s economic and military power and, had it developed as the hijackers intended, also at the center of political power. Furthermore, it was organized from abroad by well-known enemies of the United States and probably planned in detail soon after the 1993 failed attempt. American Airlines Flight 11 left Boston for Los Angeles on the morning of September 11, 2001, with ninety-two passengers and crew aboard. Sometime shortly afterward it was taken over by five passengers who were hijackers. Just before 9 A.M. it crashed into the upper floors of the North WTC Tower. Fifteen minutes later a second plane, United Airlines Flight 175, also bound from Boston to Los Angeles, hit the upper part of the South Tower. It too had been taken over by hijackers. The planes were flown into the buildings at full speed in what can only be compared to the kamikaze tactics used by Japan in World War II when young pilots crashed their bomb-laden planes into American ships. Flames engulfed the upper floors of both towers within moments and every branch of New York’s fire and rescue organizations sprang into action. It was a chaotic situation and they knew they faced a daunting task. The places where they were needed most were above floor eighty and they knew that both electricity and elevators would soon be cut off there. Fortunately, there were only 14,000 people in both towers at the time of the explosions, far fewer than in the 1993 attack. Later in the day there would have been three times that number. Those inside first experienced a gigantic blast and felt the towers swaying backwards and forwards. Sprinklers came on as electricity and lights went off. For a time, the elevators below the eightieth floor continued to operate and many were able to get into them. Fires started in different places, many of them triggered by aviation fuel, then sustained by the flammable materials in the offices. Thousands of pieces of glass, papers, debris, soot and ash, even clothing and body parts from the passengers who were in the planes, rained down on the streets below. Temperatures reached thousands of degrees in parts of the towers as 10,000 gallons of aviation fuel ignited, levels of heat that even the central steel pillars could not withstand. For about an hour the main supports of the towers held firm, allowing many to escape. Fires, sustained by chairs, desks, and other flammables, raced up from the level at which the planes struck to the twenty or more floors above, steadily weakening the main steel supports. At these heights steel is thinner as the total weight to be supported is much less than at lower levels. Finally there came a general collapse as the upper floors buckled and sides caved in. Like battering rams in ancient warfare, successive masses of thousands of tons of steel stomped on the floors below until they could no longer absorb the pressure. Both towers gave way in a cloud of dust. The noise of hundreds of thousands of tons of steel crashing down could be heard all over southern New York City as people ran from the scene as fast as they could. All public transportation had stopped. Among the most horrific of all the things that had to be endured was the sight of people jumping to their deaths from the top floors rather than be incinerated. The scale of destruction and the reckless indifference to civilian life rightly identified the event as war, a new kind of war, and subsequent actions in Afghanistan and elsewhere were in keeping with that analysis. First response by the U.S. government was to stop all flights at U.S. airports in case further attacks might be in process. Incoming planes from other countries were routed to neighboring countries. Canada, because of its proximity to the United States received most of these flights and for a time its airports were filled to overflowing. The pilots were not informed of the changes and were only told where to go. It was felt that unnecessary panic would be avoided by maintaining silence until the planes were on the ground. The towers had been designed to withstand an impact from a modern jet plane but not an impact that involved maximum speed and maximum amount of fuel. The flights that were hijacked were meant to fly to Los Angeles so they were fully loaded with fuel. Modern steel skyscrapers had never previously collapsed because none had ever been subjected to the levels of stress imposed on the WTC. It was feared at first that as many as 6,000 might have died within the towers. Later it became clear that the count was close to 3,000. Among them were 350 firemen who had climbed up into the towers to help. This was thirty times the greatest single loss of life ever previously experienced by the city’s fire departments. The fires raged on week after week for more than three months because of the large amount of flammable material available to sustain them. Recovery operations, including assessments of neighboring high-rises, were launched immediately. Four high-rises next door to the towers collapsed and four partially collapsed. Major structural damage occurred to a dozen others. More than a million tons of debris had to be removed at a rate of 10,000 tons a day, so it took several months just to clear the site. Some of the individual pieces of steel that had to be moved weighed twenty-five tons. Excavators with a reach of one hundred feet and cranes that could pick up as much as 1,000 tons were needed for the work. All of this debris had to be hauled by barge or truck to a landfill location on Staten Island. Nothing at this scale had ever previously been tackled and costs for the whole project soared beyond a billion dollars. In 1993, following the bomb attack, it took six hours to get most of the people out of the towers. Those who worked above floor seventy found it was slow and difficult to make their way down to ground level. Exit stairways were pitch black and they kept bumping into walls or one another on the way down. Subsequently batteries were added to every light fixture in stairways for times when power would not be available. A public address system was added to enable those at fire command stations to address tenants. Fire drills, which previously had often been ignored, were faithfully attended after 1993. Because of these improvements, people were able to evacuate the buildings in 2001 at a faster pace than before. The total time for exiting was cut by a third, from six to two hours, and many lives accordingly saved. The dangers from toxic materials at the time of the attack were largely ignored because more urgent matters commanded attention. All who were near the towers as they came down were covered with dust that came from fibrous glass, computer screens, asbestos, and a host of products that had been made from different chemicals. Spills of mercury, dioxin, and lead were all around. Some initial testing was done after a week and it showed levels of toxic chemicals as being below danger standards. Few of the local residents were satisfied with these results. They continued to wear masks and protective clothing and pressed the Environmental Protection Agency (EPA) to publish precise data on its measurements. Six months after September 11, the EPA had not responded to their requests and there was persistent concern over what they thought were remnants of carcinogenic materials. Before the full impact of the destruction of the Twin Towers had been registered across the country a third plane had hit the Pentagon in Washington D.C.; and a fourth that many believe was headed for the White House, crashed in Pennsylvania when passengers, at the cost of their lives, fought the hijackers but were unable to take control of the plane. The plane that hit the Pentagon began as American Airlines Flight 77 from Dulles International Airport bound for Los Angeles. It left at 8 A.M. with sixty-four passengers and crew aboard, including five hijackers. Soon after departure it stopped responding to air control messages and was observed to turn around and head back to Washington, D.C. Shortly before 10 A.M. it slammed into the lower floors of the Pentagon, clipping trees and lamp posts as it descended, plowing through floors one and two, as far as the third concentric circle. The Pentagon, as its name suggests, is a five-sided building, constructed in five concentric rings of offices around an open center. Each ring is five stories high. On any given day 24,000 people work here. It was built in the 1940s during World War II and more recently was being renovated to provide protection against terrorist attacks. Shatter-reducing mylar had already been installed in one renovated wing to absorb some of the shocks from an explosion. Blast-resistant windows were also in place. By September 11, 2001, this was the only part of the Pentagon that had been renovated and workers had not yet moved into it. By good fortune it happened to be the part of the building that was hit by the terrorists, so casualties were few. About fifteen minutes after the plane crashed into it, the whole of the renovated segment collapsed. The Pentagon shook violently as it was hit. Workers within heard the roar of the impact and almost immediately saw the outburst of fire and smoke. Lights went out as electricity was cut off. Even if lights had remained on it was almost impossible to see for any distance since black smoke smothered everything. Flames threatened people as they made their way along corridors seeking an escape route. Pools of aviation fuel ignited from time to time, adding to the general confusion. Vehicles posted nearby also caught fire. Emergency procedures immediately came into operation and every effort was made to get people out of the building. Arlington County police and fire departments were on the scene in less than an hour, tackling the fires and establishing order. Helicopters and ambulances took the injured to hospitals. Special care was taken to safeguard classified documents. The National Military Command Center, which is located in the Pentagon, had not been unaffected. Despite problems with smoke, it continued its work with officers monitoring military operations worldwide. An early casualty was an overloaded cell phone network so those who were fortunate enough to get through took names and phone numbers from the others and relayed them to their contacts with the request that they follow up with calls from their own phones. By 8 P.M. on September 11, fires were still burning strongly and spreading to new sections of the building. Core materials in the layered roof that had caught fire were particularly difficult to extinguish. Six months after the attack all traces of the original damage were gone and much of the reconstruction had been completed and one-third of the workers displaced by the events of September 11, were back at work. The renovations that were in progress at the time of the attack were included as they repaired the damaged segment and a time capsule was placed in the outer wall of the building at the point where the terrorists had struck. The capsule contained the names of all who were killed in the attack and a collection of things that represented the time and place of the attack. No date was suggested for its opening in the future. The planned improvements were also accelerated in other parts of the building. Total costs of the whole tragedy were $740 million. Altogether 126 lives were lost on the ground and sixty-four in the plane. As for the Twin Towers, in March of 2002, the American Society of Civil Engineers published their report on the fall of the towers. Its members had spent many days investigating the steel supports at the dumpsite and, while they concluded that no changes should be made to building codes as a result of the tragedy, they did make recommendations for the future. They felt that the connectors holding trusses to walls ought to be tested as rigorously as the main walls. This was not done during construction of the WTC towers. They also felt that fire-resistant material could have been used on many internal areas instead of drywall. Their most significant recommendation was that skyscraper height be limited to sixty floors instead of the 110 of the towers. They were sure that such a change would be as efficient financially and functionally as taller buildings.